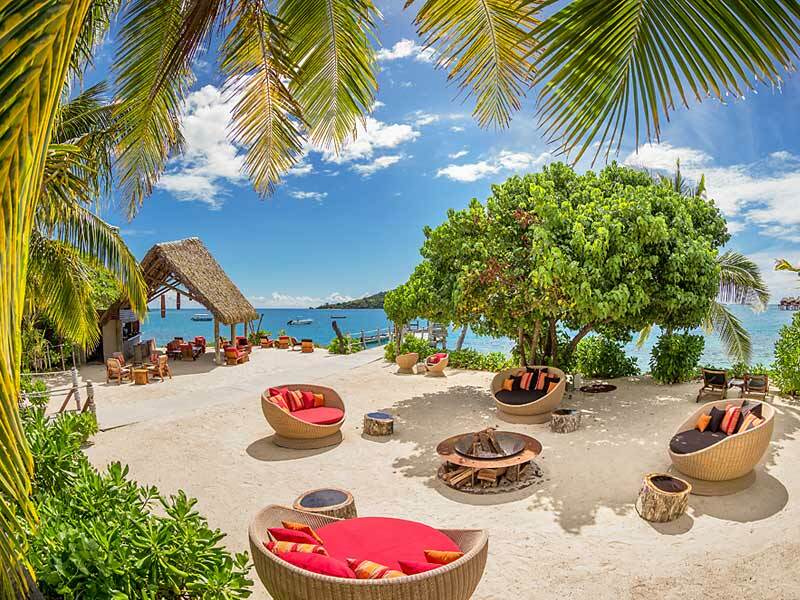 Surrounded by white sand beaches and a turquoise lagoon on Malolo Island, legend says the island was created by the gods as the place where the sun comes to rest. For luxurious stay exclusive to adults, make Likuliku Lagoon Resort the place where you to come to rest too. From the water, Likuliku Lagoon Resort looks like an authentic Fijian village thanks to the traditional architecture that abounds the resort. 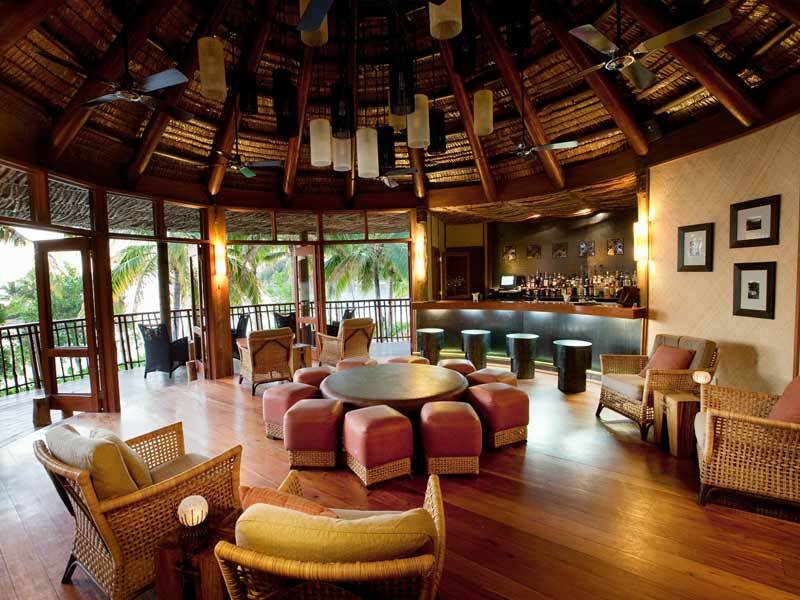 The resorts main building boasts the design of a Fijian canoe house, with high ceilings that are hand-thatched. The accommodation options at Likuliku Lagoon Resort are no different either. Each has been designed with a number of traditional features such as local Vesi floors, hand crafted artworks and palm thatching. Despite their traditional appearance, the bures at Likuliku Lagoon Resort are all luxuriously appointed with modern features like king sized beds, air conditioning, furnished outdoor decks, music and DVD player systems and much more. 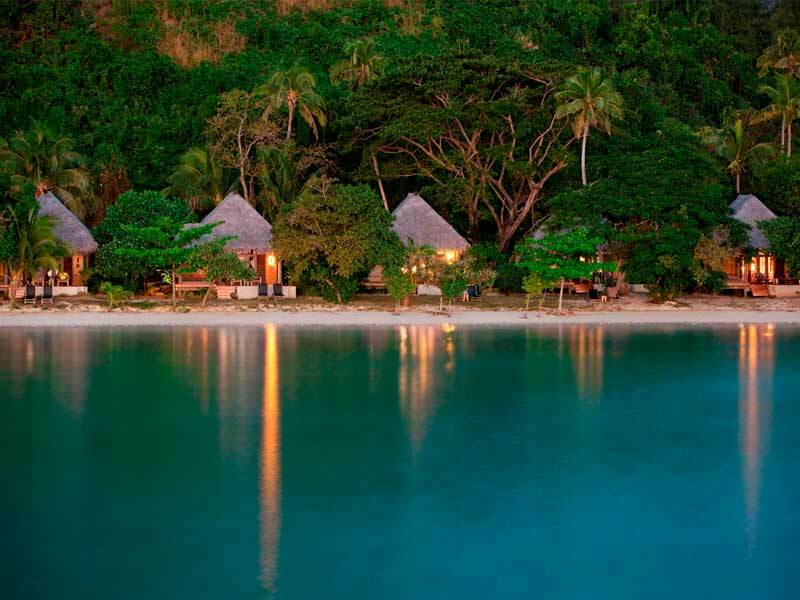 Indulging in Fijian experiences is easy to do when you base your stay at Likuliku Lagoon Resort. 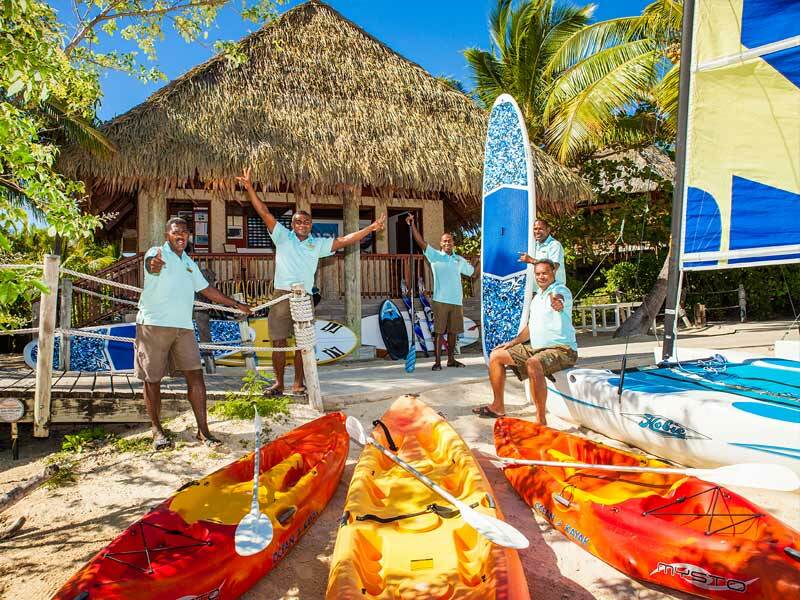 The resort offer an ever-changing schedule of activities for guests to get involved in as well as a selection of non-motorised water sports, including kayaks, stand up paddle board and more. The reef that surrounds the resort is a stunning coral reef eco system that is a part of the protected marine sanctuary. Snorkelling and diving in the surrounded reef will uncover a myriad of marine life, from exotic fish species, small stingrays, coral gardens, jellyfish and the occasional reef shark. You can explore the reefs surrounding the island on one of the resorts daily snorkelling trips to nearby sites or opt for a diving lesson with the PADI certified Dive Centre. Prefer to stay dry? Don’t worry, that’s plenty for you to discover on the island as well. Go for a wander along one of the several walking tracks and find yourself either atop Jona’s Lookout looking out over the resort and waters or along the white sands of nearby Naivaka Beach. 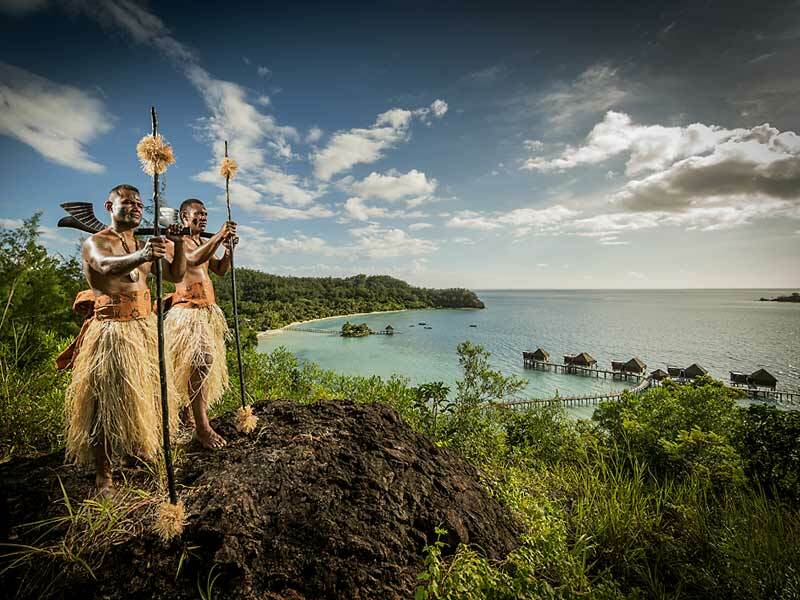 Experiencing the traditional local culture is a must when visiting Fiji and at Likuliku Lagoon Resort you can experience it all without even leaving the resort. Each Friday night a traditional Meke dance is performed followed by a feast of Fiji’s signature dish Lovo and on Monday evenings join in on the Kava Ceremony. 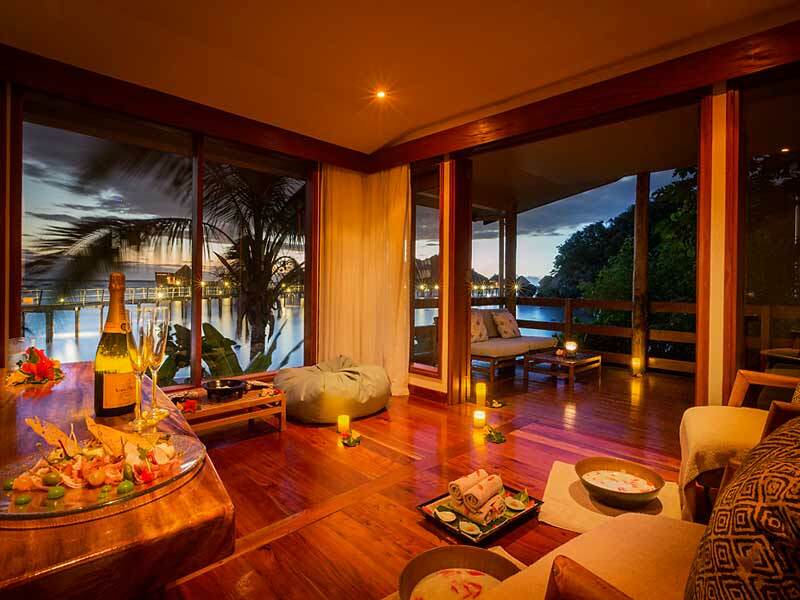 A stay at the secluded Likuliku Lagoon Resort provides an ideal luxury escape exclusively for adults. 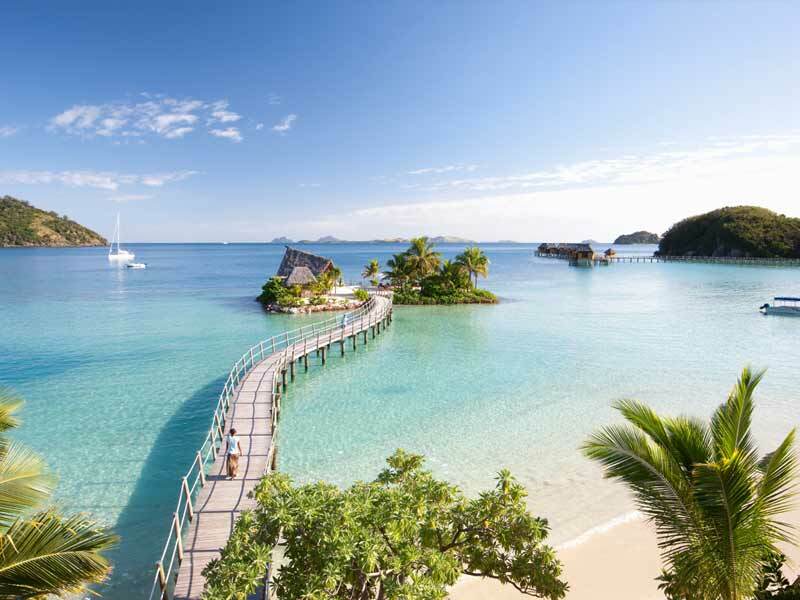 Embodying authentic culture, Fijian warmth and luxurious accommodation, this resort sure to provide a magical sanctuary for your Fijian holiday. Situated just steps from the beach, nestled amongst the tropical gardens and swaying palm trees is where you will find the Garden Beachfront Bures. 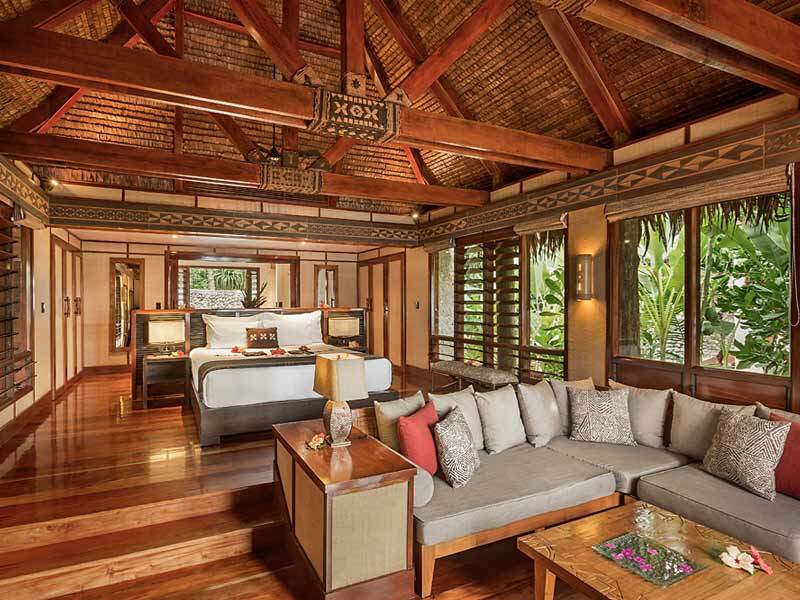 These bures were built with traditional Fijian architecture and include authentic features inside to reflect the tropical oasis. Boasting 95sq. metres of space, the generously sized bures are separated into 6 areas, sleeping, living, bathroom, courtyard, deck and daybed retreat. For your comfort, the bures are complete with plush king sized beds, a daybed retreat and a separate living area with comfortable seating, flat screen with DVD player, desk, music systems and more. 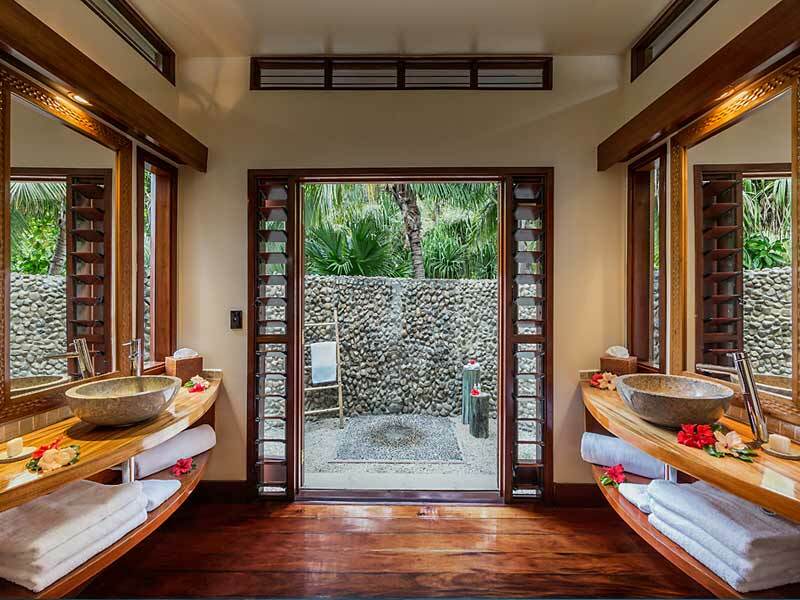 In the bathroom there is a dual vanity, deluxe bathrobes and slippers, beach towels and Pure Fiji products. 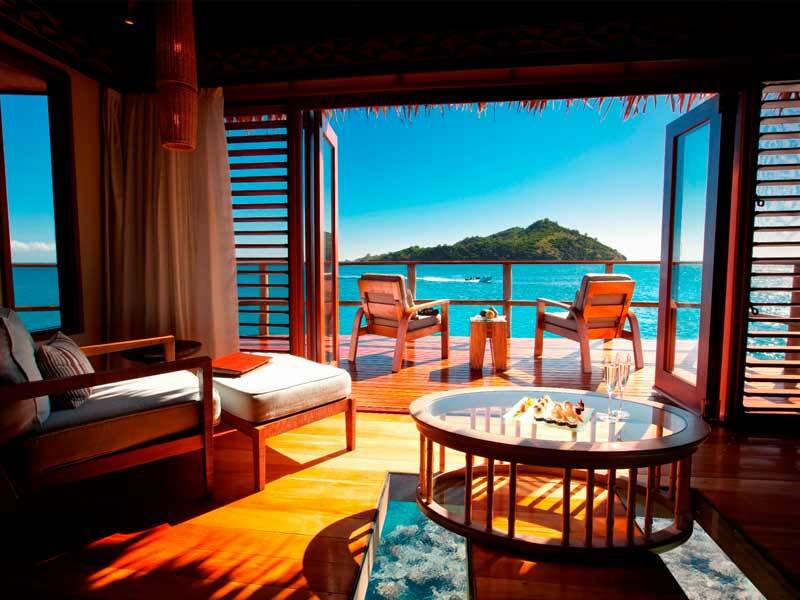 Relaxing outside and soaking up the Fijian sun is easy to do with the furnished deck and daybed retreat. There is a private courtyard with an outdoor shower too. Identical to the Garden Beachfront Bures, the Beachfront Bures are located even closer the crystal-clear waters of the lagoon. 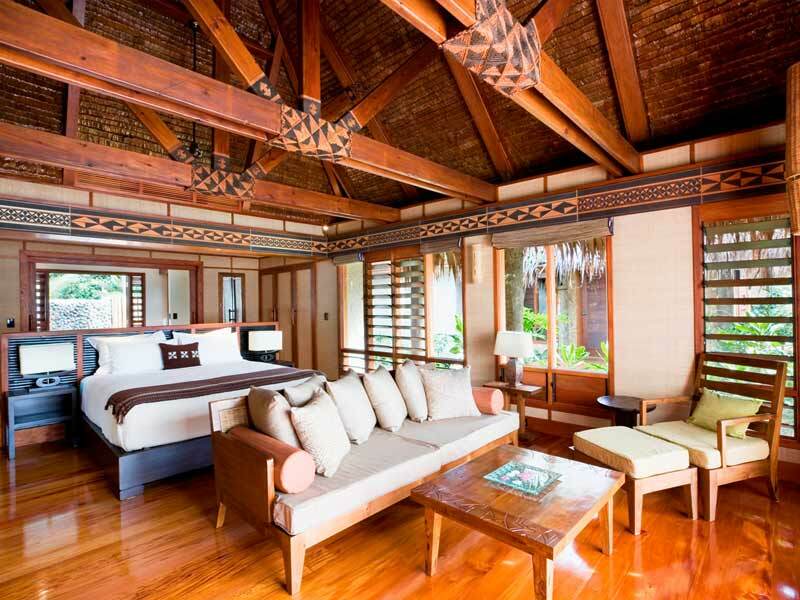 The architecture and interior features and decoration are a perfect reflection of traditional Fiji. The plush king size beds can be split into king twins if you prefer. Relax on the private deck or in the daybed retreat and take in the phenomenal views of the beach and the lagoon; Wash your worries away in the spacious bathroom that is equipped with dual vanities, bathrobes & slippers, beach towels, hair dryer and Pure Fiji toiletries; Shower under the Fijian sun in the outdoor shower within the private courtyard; Kick back in the comfortable living area and watch DVD’s on the flat screen, listen to music on iPod Dock/CD player and much more! 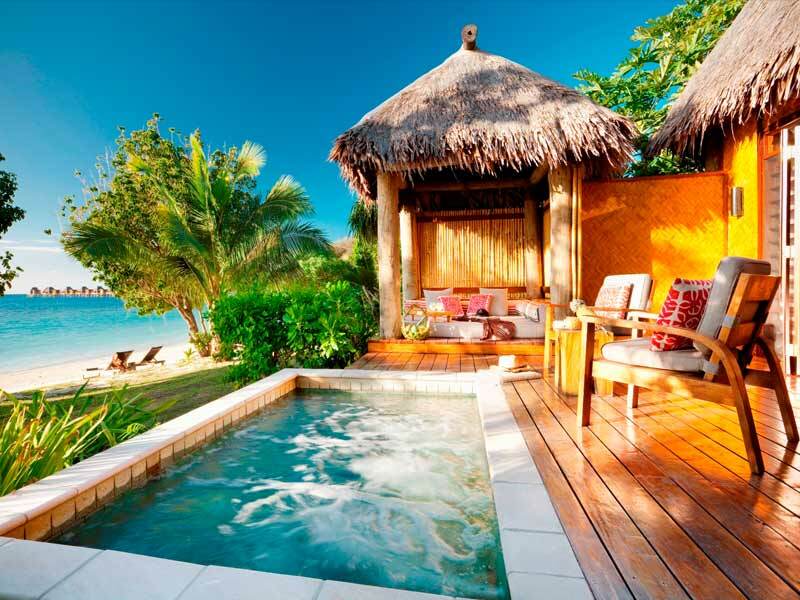 Holiday in style and enjoy your own private plunge pool when you stay in a Deluxe Beachfront Bure. Boasting 100sq. of combined space, these bures are separated into 6 areas, sleeping, bathroom, living, deck, day bed and courtyard. Enter the bure into the comfortable living area where you will find a sitting area, DVD player with flat screen and music player. Connected to the living area is sleeping area that is complete with a plush king size bed that can be transformed into king twins if you prefer. The bathrooms are designed perfectly for 2 people with dual vanities, bathrobes & slippers, hair dryer, beach towels and Pure Fiji toiletries. Beyond the bathroom, step out into the private courtyard for the secluded outdoor shower. 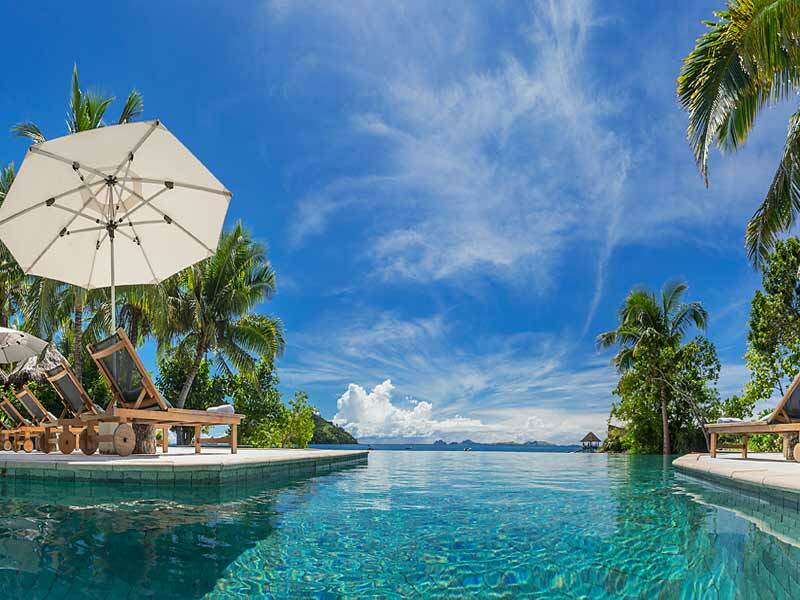 At the front of the bure is the connected deck, daybed retreat and plunge pool, a perfect place to kick back and take in the stunning beach and ocean views that surround you. Boasting 90sq. 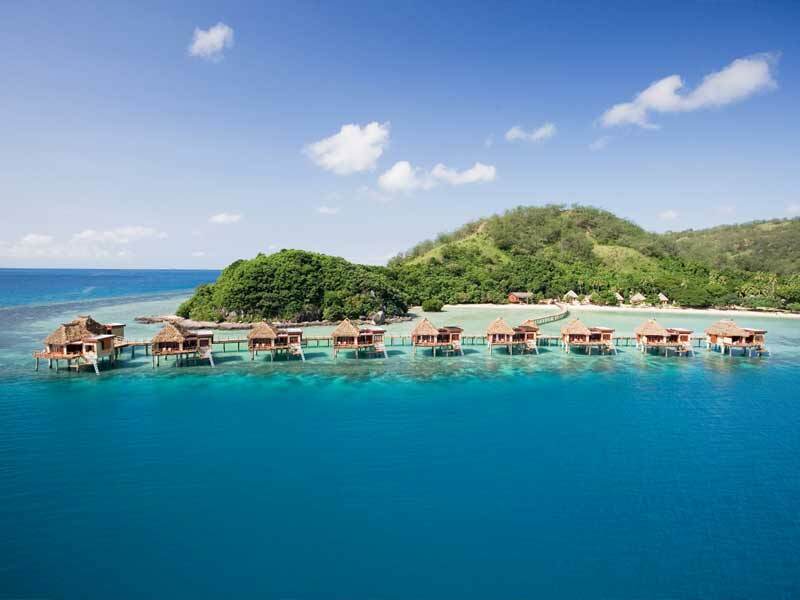 metres of overwater luxury, the Overwater Bures are situated on the edge of Likuliku Lagoons vibrant reef with direct access into the azure waters. The interior is decorated with authentic touches unique to Fiji. The guestroom area of the bure is a room dedicated to your plush king size bed (or king twins if you prefer), it also features a comfortable sitting area to enjoy the air conditioning and a desk to comfortably catch up on your emails. The guestroom opens up to the spacious deck complete with sun loungers and an outdoor dining area with incredible views of the lagoon from all angles. The bathroom features are separate to the sleeping area, inside the bathing pavilion. The large soaking tub sits under a window so you can relax in the bathtub while watching out over the lagoon. 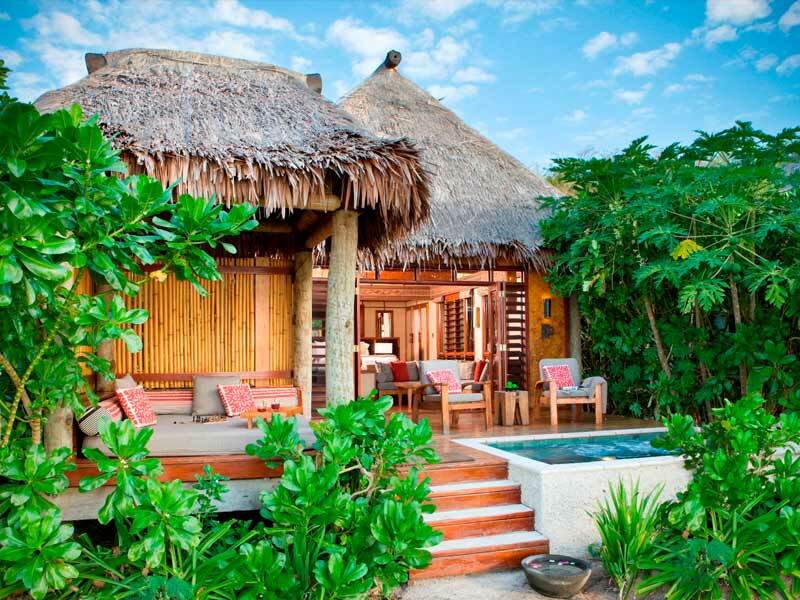 The bathing pavilion also features dual vanities, bathrobes & slippers, beach towels, hair dryer and Pure Fiji products. The Overwater Bure features a range of special touches exclusive to these bures including complimentary canape plate, ice and cookies delivered daily and a pair of binoculars to utilise. 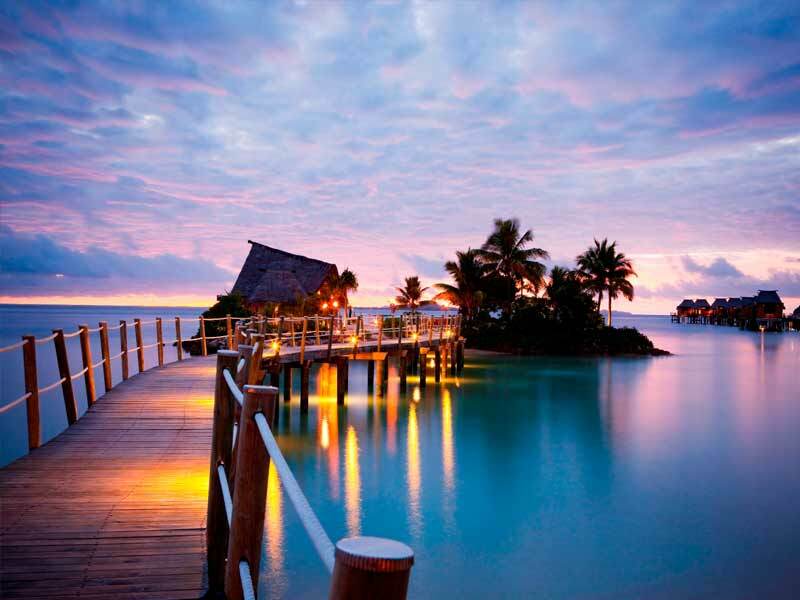 Likuliku Lagoon Resort is located within the Mamanuca Island group, on Malolo Island. 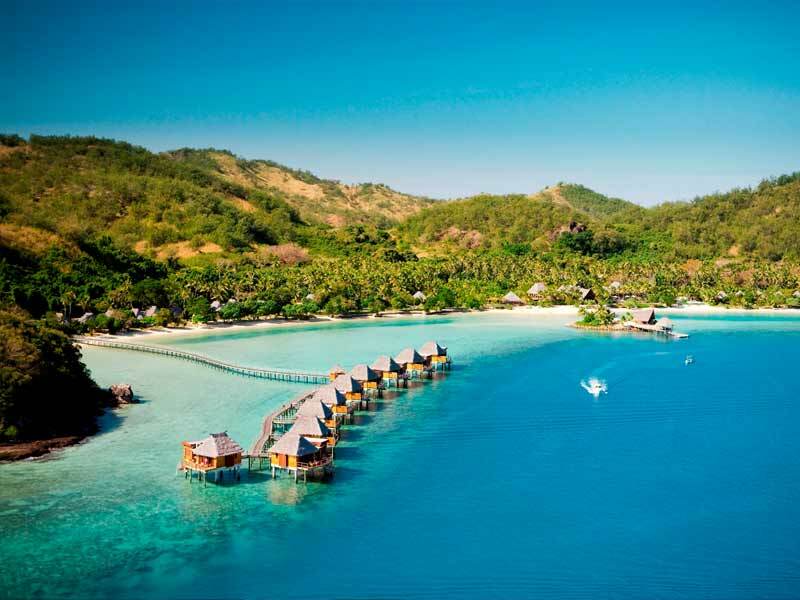 The resort is approximately 25km from Nadi International Airport and can reached either via fast catamaran, private speedboat, seaplane or helicopter. 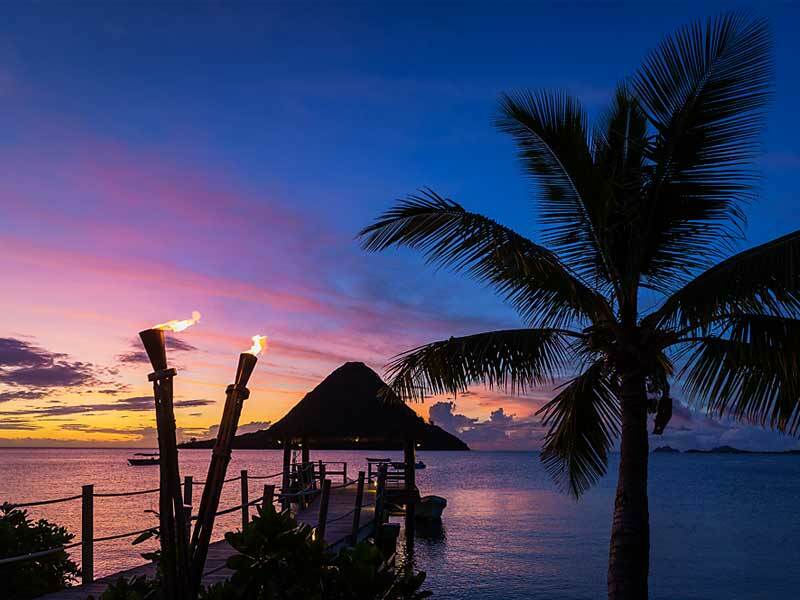 Do as much or as little as you like at Likuliku Lagoon Resort! Water lovers will be spoilt for choice here. The resort is surrounded by a pristine lagoon that is home to a coral reef eco system that is a protected marine sanctuary. The reef hosts an abundance of exotic marine life that can be easily be discovered by using the resorts complimentary snorkelling gear or signing up for a PADI certified dive course with the resorts Dive Centre. Other complimentary non-motorised water sports are available for guests to utilise too such as kayaks, stand up paddle boards, sailing and wind surfing. Some of the best surf breaks in the world aren’t far away from the resort either. Book one of the resorts surf tours that take you to awesome breaks like Cloudbreak, Wilkes Passage and Desperation. If you’re a fan of fishing, jump aboard one of the fishing excursions and try your luck reeling in a Tuna, Giant Trivally, Wahoo and more. Opt for a bit of luxury by the water and head out on a sunset cruise or organise a private picnic on the sandbank or the private island beach. Relax and unwind at Tatadra Spa and take in the beautiful views of lagoon as you drift into a state of relaxation with a Fijian-style treatment. 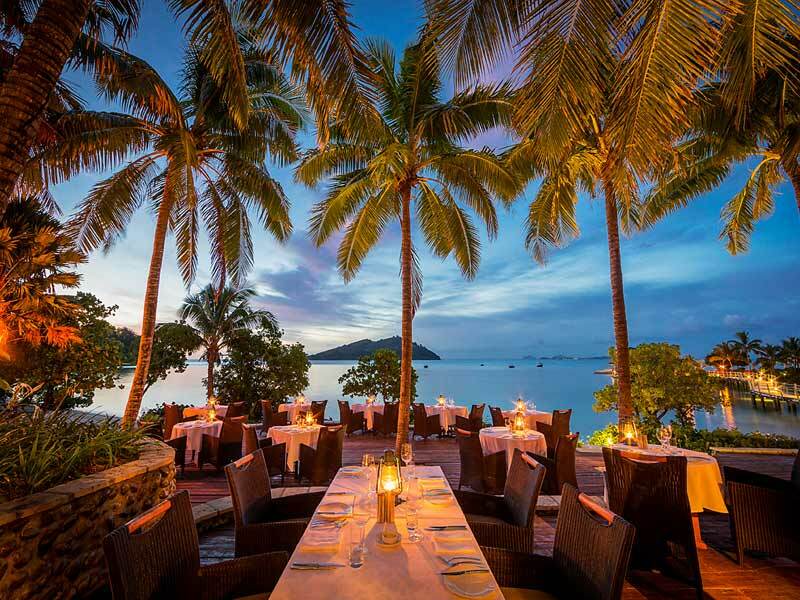 Likuliku is a truly magical place, largely due to the combination of warmth and professionalism of the staff, the exceptionally high standard of food and wonderful cocktails and of course the idyllic setting. I had a massage from Rosi and it was awesome! We will definitely return!